Telemedicine brings neurology into clear focus for Marshall County. 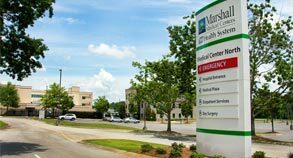 The most experienced stroke care, coordinated with a team of neurologists, is available around-the-clock at Marshall Medical. We offer our patients the advancements of telemedicine technology to deliver real-time video examinations between our emergency department and a neurologist to diagnose and prescribe lifesaving drugs. The fact is, stroke occurs in North Alabama way too often. And when it does, fast treatment can save lives and minimize long-term damage. That’s why Marshall Medical is closing the gap with telemedicine. 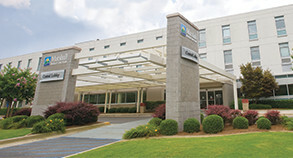 Working with the North Alabama Neuro-Stroke Network and Huntsville Hospital, we’re bringing 24-7 neurology care for stroke victims to Marshall County. When a stroke victim arrives at Marshall North or South, the local ER team can provide detailed patient data to our regional Certified Primary Stroke Center. Using a hi-definition camera, the neurologist can examine the patient remotely and provide lifesaving treatment. Thanks to telemedicine, we’re bringing the best possible stroke care closer to home.